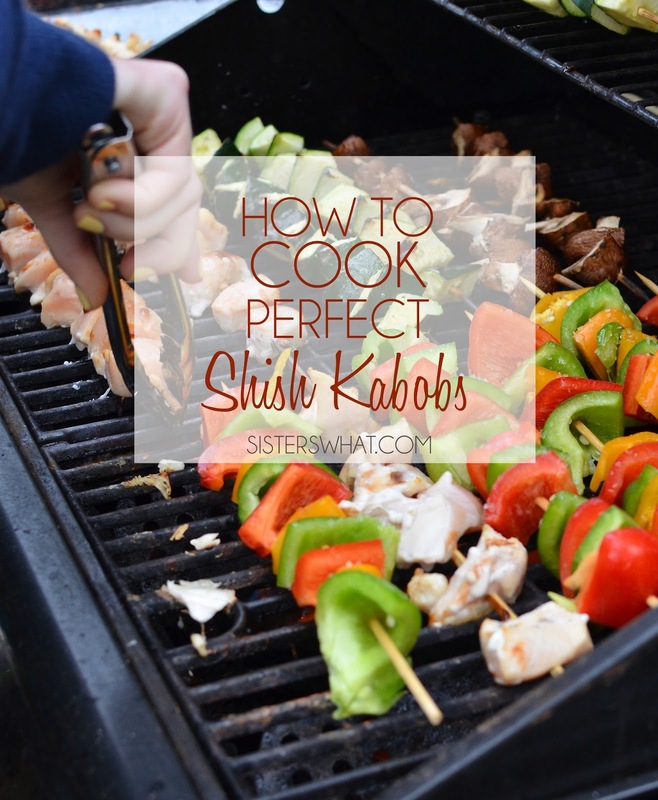 ' How to Cook the Perfect Shish Kabobs - Sisters, What! Did you see the grilled pineapple post? well, we decided to go all the way and grill the rest of our dinner too with some shish kabobs. I remember someone once telling me how to make the perfect shish kabobs, so I decided to finally put it to the test. 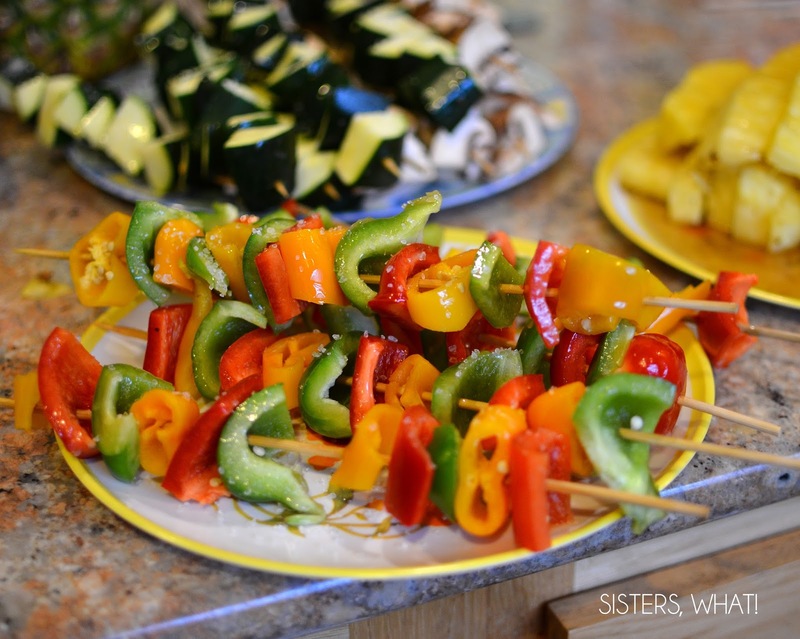 These Shish Kabobs would make for the most perfect mothers days dinner side dishes along with the grilled pineapple. Seriously, your mother will love you! If your a mother reading this, just forward this to your husband as a little hint. 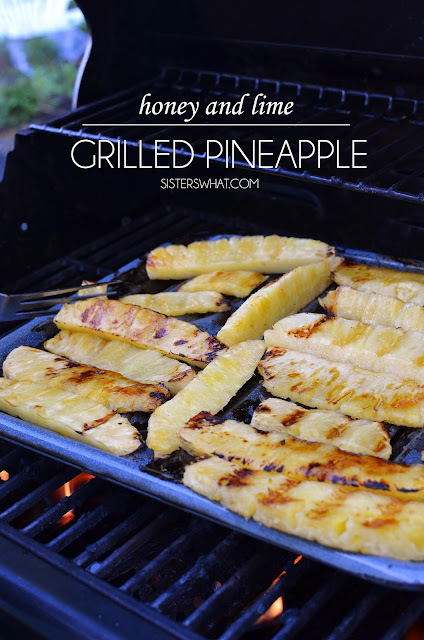 I'm sure he'd love you for providing him with such an easy dinner suggestion involving the grill. ||1|| Assemble your selection of vegetables and meat. We picked bell peppers, zucchini, mushrooms and chicken. 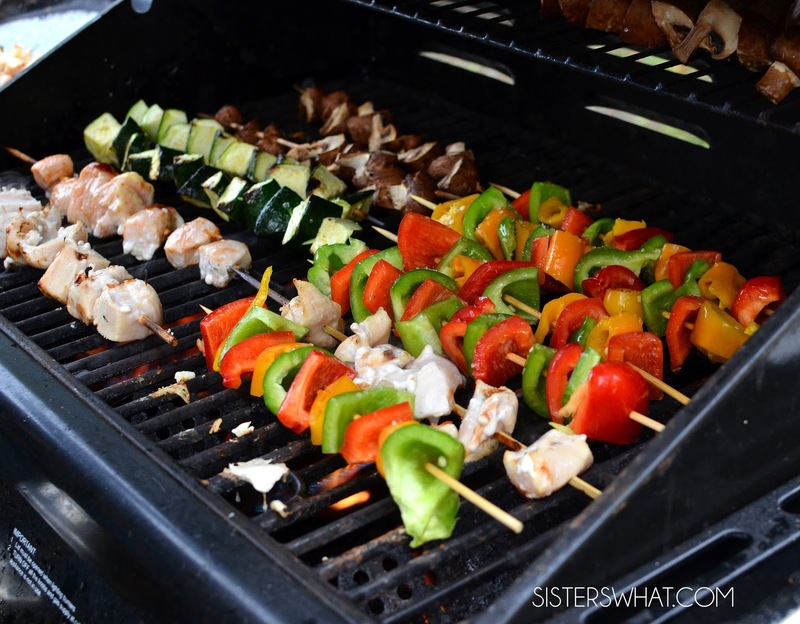 ||3|| Here's the secret: cook your veggies and chicken on their own skewers. This isn't nearly as tasty looking having everything on separate skewers and it makes it hard to share, but here's the reason behind it. Each of the different types of veggies take various times to cook. Especially the meat; it usually needs more time. So if you were to pile them all onto the same skewer, then some of the veggies would be way more done than others and than it's just not as tasty. But if you do then on their own skewers than you can cook each vegetable for the perfect time and have perfectly cooked shish kabobs. One great thing about bell peppers is that they come in 3 different colors, so you can at least have fun mixing those ones up : ). ||4|| after you have all your veggies and meat on their skewers, sprinkle some sea salt on them and then start cooking. Seriously, your mouth will thank you...and possibly the people you share them with (if you can manage to share them).